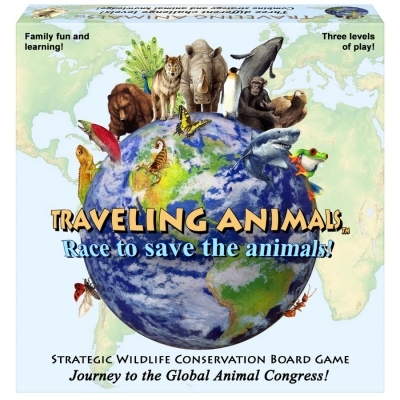 Educational conservation board game for family fun & learning using strategy & knowledge with 3 levels of play. Players trek actual global migration paths with spectacular original artwork collecting animal cards. A great learning center for preschools and animal lovers. I like that the board shows animals natural habitat. I like the fact that there are three play levels and several facts about animals to discover.